If you have been in our showroom recently you will have noticed a beautiful display of David Hunt Lights in front of you as you come through the main door. 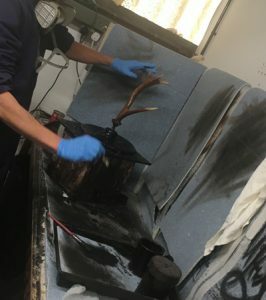 This particular manufacturer has a reputation for quality and craftsmanship and as they are based not too far away, in the Cotswolds, we thought it would be a good idea to send some of our staff to say hello & have a tour around their workshops. Needless to say we were very impressed and a little bit surprised with what we found. 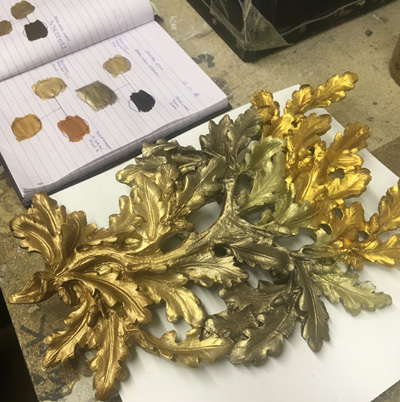 You can read how we got on in our latest blog post and learn some of the little intricacies that make David Hunt Lighting one of the UK’s most loved lighting manufacturers. From the gentleman who hand paints the Antler lights to the design inspiration department with their table covered in interesting bits & pieces. They’ve got lovely chocolate biscuits as well! Take a moment and have a read of when Warmmead visited David Hunt Lighting.